Are you interested in Bachata lessons? Vaughan residents who want to learn about this Latin dancing sensation choose Arthur Murray. Read on to learn more about taking Bachata classes in Vaughan and area, including: Etobicoke (The Kingsway), Downtown (Yorkville), North York, and Vaughan (Woodbridge). Bachata classes are fun and interesting. The Bachata is a social latin dance with simple footwork and strong hip movement. The music is romantic in nature and therefore the movement reflects the story of love and heartbreak. Bachata steps involve many optional turns for the lady. Bachata classes in Vaughan can help you master this beautiful dance. The Bachata originated in the countryside of the Dominican Republic. The dance is a direct reflection of the music played in the night clubs during the 1960’s. 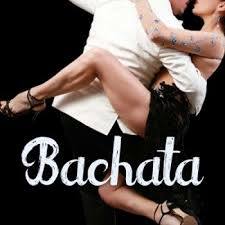 The Bachata has close ties to the Cuban Bolero and more people than ever are registering for Bachata lessons in Vaughan for the look and feel of the dance as well as for the great music. Vaughan Bachata classes offered provide you with direction on footwork that moves in a side to side or forward to back motion and the many turns and spins that make this dance. The romantic character of the Bachata is achieved from the sensual hip and body actions. Good use of the knees and feet helps produce the desired hip movement. Many people who start lessons without any latin dance experience quickly adapt. Why not check out Arthur Murray’s Bachata lessons? Vaughan residents can register for Bachata classes at our site or contact us for more information. Interested in taking other Latin dance classes in Vaughan? Go back to our list of dance classes.